Baton Rouge is overflowing with fun things to do for families this fall. Of course, there are the standbys like the Farmers Market on Saturday mornings, First Free Sundays at the museums downtown, Rock ‘N Rowe, Live after Five, and LSU or Southern football on most weekends. 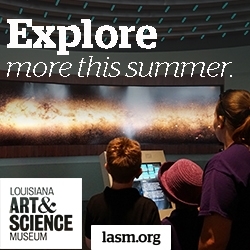 There’s ALSO many activities at the LASM and Shaw Center like Stories in Art on the first Friday of the month, Sunday’s in the Park on the first Sunday, the BASF Kid’s Lab, Planetarium Family Hour & Stargazing, and Miss Trudy’s Travelling Trunk Show! Whew! Throw in the regular BREC and library events, and you’re hard pressed to be bored on any given weekend in Baton Rouge. But right now, I want to tell you about all the awesome one-time or annual events coming up this fall. ‘Tis the season – for festivals! Let’s jump in! The Corn Maze Festival at the Burden Center - Oct 7th, 14th, 21st, and 28th. Enjoy some crazy, mazy family fun as you find your way through the maze. Test your skill at the giant sling shots, climb Hay Mountain, visit the farm animals and take a hayride. 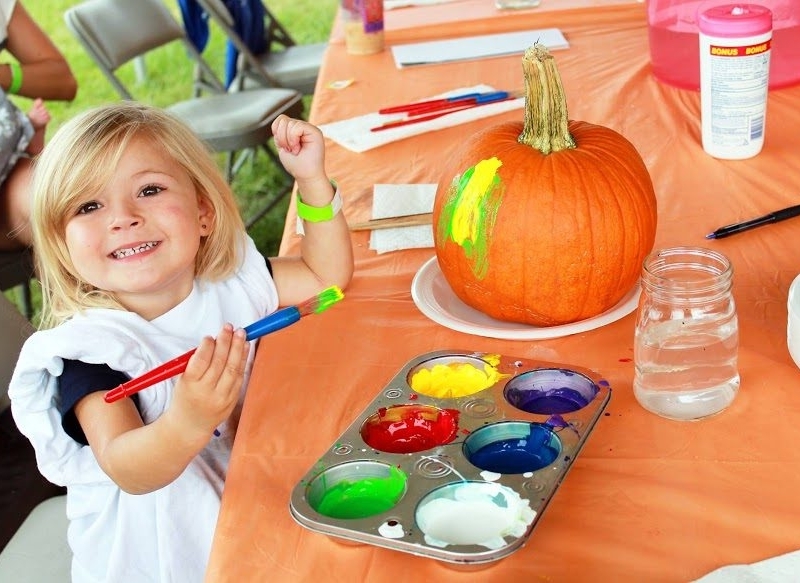 Other activities include pumpkin decorating, children's zipline, corn crib and more. Concessions available. $10 per person, three and under free. Night Maze and Bonfire October 28 from 6 to 9 p.m. Bring the family and enjoy an evening bonfire, corn dogs, s'mores and live music. Costumes are welcomed. For more information, click here. Admission is $10 and free for children 3 and younger. Harvest Days - October 7th and 8th. Living History demonstrations will interpret activities that took place on Louisiana farms and plantations during harvest time in the 1800s. Activities include; open-hearth cooking, soap-making, wood working, and many hands-on activities in which the general public can participate. Wagon rides and other activities are included. General admission charged: $10 for adults (12-61 years), $9 for seniors (62 years+), and $8 for children (6-11 years). 2017 SPOOKTacular Playdate with Red Stick Moms Blog October 11th at 9 a.m. and 11 a.m. at Lil Bambinos Playtorium. They’ll be partnering with lots of local businesses to eat, drink, shop and trick-or-treat the morning away. Put your kids in their favorite Halloween costume (adults are welcome to participate in the costume fun as well) and get ready for a family-friendly morning event with lots of fun. $10 per adult and $15 per child over the age of 6 months. Baton Rouge Mini Maker Faire - October 21st from 10 a.m. to 5 p.m. at the Main Library on Goodwood. Maker Faire is a gathering of fascinating, curious people who enjoy learning and who love sharing what they can do. From engineers to artists to scientists to crafters, Maker Faire is a venue for these "makers" to show hobbies, experiments, projects. The Library calls it the Greatest Show (& Tell) on Earth - a family-friendly showcase of invention, creativity, and resourcefulness. Glimpse the future and get inspired! Free! Fight Like A Girl - October 15th from 3 to 5 p.m. at the Bluebonnet Library. An interactive, confidence boosting self-defense class for girls and women ages 13 and up. Free! Registration required. Ogden Park Prowl - October 7th from 1 to 6 p.m. The Ogden Park Prowl is a neighborhood art festival in Mid City, Baton Rouge. We're a collection of open houses and yards featuring arts, crafts and entertainment made fresh and hyper-local. Free! Fall Festival at School Time! October 7th at 10 am. School Time Uniforms in Baton Rouge is hosting a fun, family friendly Fall Festival on October 7th from 10 am to 12 pm in the Bocage Village Shopping Center. The festival will feature a petting zoo for kids of all ages, face painting, free jambalaya and popcorn, plus games and prizes! School Time is located at 7745 Jefferson Hwy. They offer a great selection of school uniforms, accessories, backpacks, and educational toys and games. Boucherie Festival - October 20th at 5 p.m. to October 22nd at 6 p.m. at the Lamar Dixon Expo Center. This festival is the Sorrento Lions Club's annual fundraiser for various organizations and charities. They will have a great band line up for dancing, lots of activities for the kids, great food and local vendors! $5 Admission. Java Mama “Boo and Brew” Halloween Party - October 28th from 3:30 p.m. to 5:30 p.m. This year's Halloween Party will be "ghoulishly delightful!" It will include special characters from the Petite Princess Company, Pediatric Dental Specialists of Baton Rouge and West Pediatrics, along with painting, refreshments, photo area, Halloween cookie decorating by Cupcake Allie, a CANDY BAR and games! Don't forget to wear your costumes! Ticket prices will be $15 plus tax for children and $5 plus tax for adults. Swamp Haunted Hikes – October 13th, 20th, and 27th from 6 to 9 p.m. Bluebonnet Swamp’s Haunted Hikes are designed specifically for younger children. This program is an alternative to the commercial haunted houses, which are geared more for teenagers and adults. Participants learn about snakes, insects, rats and other “creepy critters” as they stop at educational stations along the trail. No scare tactics are used during this program, and participants are welcome to come in costume. All participants should bring a flashlight, and because this program runs at night, all children must be accompanied by an adult. Back again from last year: track down costumed characters to receive “treasures” then trek through the Swamp Graveyard to our Education Building for carnival games and spooky storytime. $6 per person. Bachtoberfest! - October 13th at 7:30 p.m. Join us for a fun-filled celebration of some of the most beloved music by one of the world’s most prolific composers. Presented in the Capitol Park Museum’s covered outdoor area, this family-friendly outdoor concert features the chance to get up close and personal with the musicians of BRSO. A Bachtoberfest wouldn’t be complete without gourmet food and beer trucks too! Trick and Treat Howl-o-ween Costume Pawty October 20th at 6 p.m. at Forest Park Dog Park in Baton Rouge. Our howl-o-ween event for the dawgs! Get the costumes ready for our costume contest and visit with area animal organizations, shelters, partners and friends. Local celebrity guest judges will score winners for Best Large Dog, Best Small Dog and Best Family or Group Costumes. Prizes will be awarded to the winners! Louisiana Highland Games and Celtic Games October 28th from 10 a.m. to 5 p.m. at the Zachary Youth Park. The 2017 edition of the Louisiana Highland Games and Celtic Festival featuring traditional Highland games, Scotch and Irish country dancing, bagpiping, heritage events and foods and much more! Fall Art Crawl - November 3rd at 6 p.m. in Zachary, LA. Local shops will be open late with visual artists selling their work along the art crawl route. Catch live music by local musicians! Rouses Market will be serving up complimentary wine at the Gazebo. The Little Gym is sponsoring activities for children at the Bauman House. Come support local artists and have a great time! If you don’t mind a bit of a drive, there’s these awesome events in our neighbor to the South! Beignet Fest – October 7th from 10 a.m. to 6 p.m. Beignet Fest celebrates New Orleans’ most iconic dessert: the beignet. From traditional sweet treats to savory delicacies that feature seafood, cheese and more, Beignet Fest serves up the best beignets in the South. In true New Orleans tradition, Beignet Fest features a myriad of restaurant vendors; local and regional musical entertainment; and family-friendly activities in the Kid’s Village presented by Ochsner Hospital for Children. Kawaii NOLA at Japan Fest October 14th at 10 a.m. at the New Orleans Museum of Art . This is the single largest Japanese cultural event of the year for the New Orleans Metro area. JSNO will have a table to spread the word about the Society. In addition, there will be Japanese arts and crafts for sale, taiko drums performance, Japanese dance & tea ceremonies, along with plenty of food and drink. This is an all-ages festival with something for everyone. NOLA Mac and Cheese Fest – October 21st from 11 a.m. to 7 p.m. The inaugural festival will feature Mac and Cheese dishes of many varieties from more than a dozen local restaurants along with a selection of other items from each of their menus. Their mac and cheese dishes will be judged by professional and celebrity judges! Admission is free!